If you have commercial goods you wish to import into Yemen through the Port of Nishtun in the Governorate of Mahra (eastern Yemen) you must first apply to the Saudi-led Arab Coalition for advance authorization. Otherwise, you would not be able to do anything. If you were ever to visit the Port of Nishtun, the Saudi forces in Mahra will be the first to know of your visit. If you, for some reason, are an unwelcome person to these forces then there is a very real possibility that you will be arrested and detained in the prison established by these forces inside the Ghayda Airport. 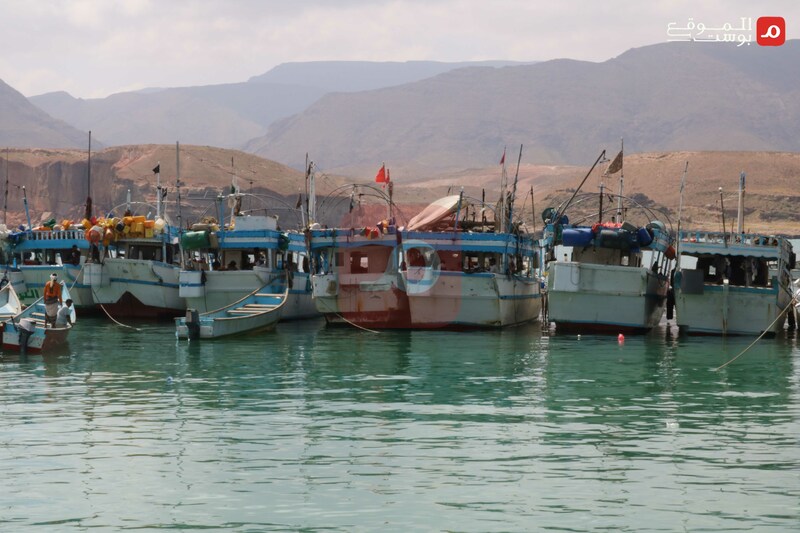 The Port of Nishtun is located on the eastern front of the Yemeni Republic, west of the District of Ghayda, the capital and prime district of the Governorate of Mahra. It is the only port in it. It was inaugurated in 1984. It is 210 meters long and 5 meters deep. It was established as a multi-purpose port to serve the commercial and fishing activity. It was rehabilitated in 2010. It is characterized by its commercial activity between the Gulf states and the Governorate of Mahra which decreased in years past due to the inauguration of the landlocked road between Yemen and the Gulf states. Following the drippling of the majority of Yemeni ports and the shutdown of most international landlocked crossings because of the war experienced by Yemen since 2015, it started to regain momentum. But the situation did not last long. The Arab Coalition’s control of the Governorate of Mahra impacted the port, transforming it from a commercial port to military barracks, and shifting it from under the oversight of the legitimate Yemeni Government to the full supervision of the Arab Coalition states led by the Kingdom of Saudi Arabia. The road leading to the Port of Nishtun from the city of Ghayda passes through an asphalt line whose length is estimated at 45 kilometers. It also goes through mountainous heights, desert expanses and seacoast beaches. 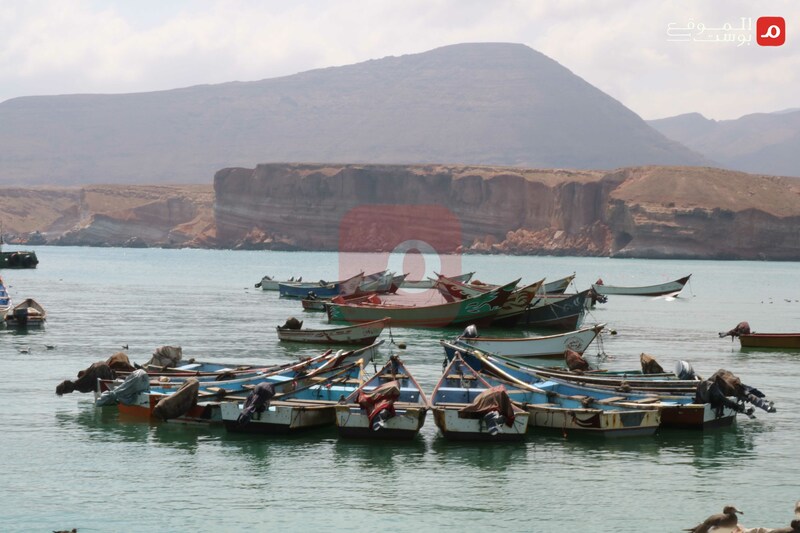 The port consists of two docks: the first commercial and the second dedicated to fishermen.It is anestuary located in an open area between mountain and plain, over an estimated area of 4 square kilometers. In the background is land in which imported cars have collected, many of which have depreciated. On its right is a small village inhabited by citizens from the area. It also includes a market on the road crossing the port site and leading to Hadhramaut as an international coastal road. 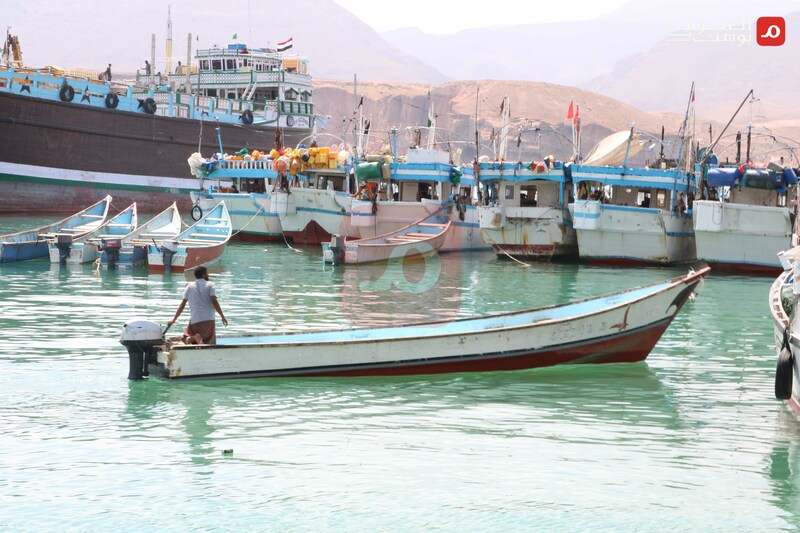 The port is administratively part of the Yemen Arabian Sea Port Corporation(YASPC) which was created by virtue of Presidential Decision Number (62) of 2007 and operates under the Maritime Affairs Authority (MAA). It is locally overseen by the local authority of the Governorate of Mahra. Its activity is regulated by the Yemeni Ministry of Transport which operates from the temporary capital of Aden. The Port of Nishtun is vitally important, whether in terms of geography and its closeness to the Gulf states, especially Oman, or in terms of the financial revenues it generates every day and which constitute a source of national income for the Yemeni Republic in general and the Governorate of Mahra in particular, especially at present. Most of its revenue goes to the governorate, with a fraction channeled to YASPC which is headquartered in the Governorate of Hadhramaut. 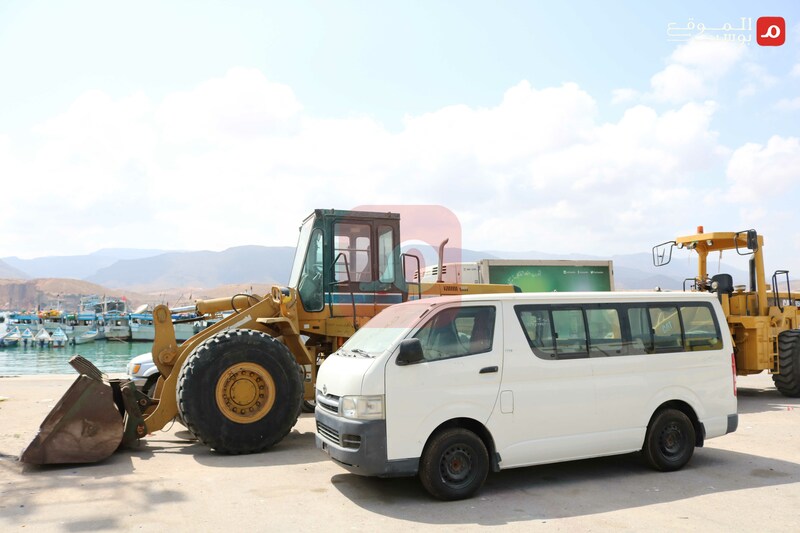 Inside the Port of Nishtun are large tanks used to store oil by-products that arrive in the Governorate of Mahra and are distributed to the fuel stations or are used by public institutions. The port used to operate as a multi-purpose port. Cars, trucks and various goods arrived in the port from several countries, mostly from Gulf States, e.g. the Port of Dubai in the UAE and the Port ofSalalah in Oman. It recently changed from an importer of all types of goods to a port dedicated to the sole import of oil by-products in line with the measures created by more than one mechanism lately. There is, at the port, a governmental team from the different government institutions to manage the site, e.g. Transport and Customs, in addition to the security forces tasked there, e.g. Political, National and General Security. Then there are the forces of the Yemeni Army which handle the guarding of the port and are part of Brigade 137 Infantry. When the Saudi forces arrived they imposed their hegemony over everyone there. Its importance also lies in the availability of a wide area for fishing, which is the occupation practiced by a large sector of the people of Mahra. 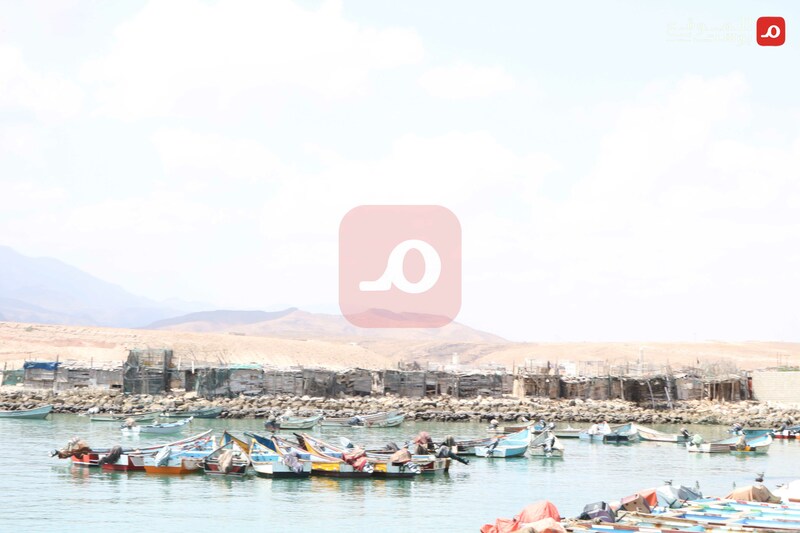 This activity is regulated by the Nishtun Fishermen Association, headed by a man called “Sheikh of the Fishermen.” These people have recently faced harassments like the rest of the fishermen of Mahra. We will address their suffering in an independent exposé which will be published later. The remarkable fact here is that the port, despite generating revenue and being considerably important, the port and the residential areas near and around it are plagued by power cuts all day and the power is only on at night. The residents there also complain of the absence of a project to supply water to households. This situation is strange compared to the other districts of the governorate, despite the fact that the port is commercial and generates millions for the governorate. According to residents interviewed by Al-Mawqea Post, the entire city of Nishtun lacks a fully equipped medical dispensary to offer the health services needed by the inhabitants. In emergencies, the patients are taken to the city of Ghayda, which has hospitals of poor capacity, or to the city of Mukalla in Hadhramaut. Critical cases are taken to the Omani city of Salalah whose authorities offer all the necessary medical facilities for the residents of the city of Nishtun and all the districts of the Governorate of Mahra. With the deteriorating political situation in Yemen, and the outbreak of the Arab Coalition-led war four years ago, the port sustained neglect and became separate, in terms of financial revenues, from the center in the capital Sanaa. But it maintained a modicum of survival and operation. Then came the comprehensive siege of the ports and crossings, imposed by the Arab Coalition at the request of the Yemeni Government. The port became subject, in its operating mechanism to the Arab Coalition, and official governmental supervision from the Yemeni camp remained nominal. It was taken over by UAE forces when they arrived in the Governorate of Mahra in 2015 but they did not exercise any real authority over the port due to their short-lived presence there, and their failure to establish a local military force loyal to them, as happened in the governorates of Aden, Shabwa and Hadhramaut. When the Emiratis left the Governorate of Mahra, they were replaced by the Saudi forces which arrived in the governorate in November 2017 and gradually extended their presence so that their control covered all landlocked and marine ports in Mahra. The Port of Nishtun had the biggest share of that presence, which ended in hegemony and full control by the Saudi forces. The Port of Nishtun represents a decades-long strategic goal for KSA, reflecting its aspiration to open a port for itself on the Arabian Sea to transport oil through pipelines from Saudi fields to the global market, without resorting to the Strait of Hormuz, by which a landlocked project is established, leading from inside Saudi territories and ending at the Port of Nishtun. The Saudi Government has striven to implement this strategy for a long time now. Recently circulated Saudi documents show Riyadh’s aspiration to carry out this project since the early 1980s. Saudi Arabia’s naturalization campaigns that targeted the Mahra tribes were a prelude, as confirmed by the tribal sheikhs interviewed by Al-Mawqea Post. The Saudi Government sought to implement the project during the rule of former President Ali Abdullah Saleh. But these steps ran aground after Saudi Arabia insisted to impose its own terms and rejected the proposition made by former President Saleh. Leading tribal sheikh in the Governorate of Mahra Ali Salem al-Hureizi observed that an official delegation from the Saudi Government visited former President Saleh and met with him in the capital city of Sanaa in 2002 to agree on installing the pipeline in the Governorate of Mahra, but the meeting ended in failure. Al-Hureizi explained that Saleh summoned and informed him that Saudi Arabia wanted to install a 300-kilometer pipeline through Mahra, pumping 500,000 barrels per day, and will establish an asphalt road running parallel to the pipeline over a distance of 2-4 kilometers on both sides of the road. The road would be under its full sovereignty, and would be protected by the Saudi army and security, without any interference by the Yemeni camp. Bridges would be built along the road for Yemenis so as not to pass through the road installed by Saudi Arabia. In his conversation with Al-Mawqea Post, Al-Hureizi added that President Saleh proposed giving the Saudis a city on the Arabian Sea to accommodate staff, tanks and maintenance, specifying a purely Yemeni force to handle the guarding of the port, and working with the Ministry of Foreign Affairs to identify the Yemeni and Saudi staff and maintenance teams. According to Al-Hureizi, Saleh also expressed willingness to create a brigade of Mahra locals to handle guarding duties under the supervision of the Yemeni Army, and coordinate in terms of Saudi security too. But the Saudis refused Saleh’s proposition. Their condition was for the forces to be fully Saudi. Then the whole thing ground to a halt. After that date, Saudi Arabia’s talk of implementing this project faded. Following their launch of the military campaign in Yemen, dubbedOperation Decisive Storm, Saudi Arabia resumed working on achieving the dream, as revealed seven months after the war broke out, with the Salman Canal Project. In early September 2015, the Head of Alqarn Al ArabiResearch and Studies Center (ACCSU)in Riyadh, Saad bin Omar, published a study entitled The Salman Canal, in reference to Saudi King Salman bin Abdul Aziz. It consisted of a comprehensive study to connect the Arabian Gulf by sea with the Arabian Sea through a marine canal, after changing the name it held – the Arabian Canal – to the Salman Canal. According to the Saudi media which touched on the study, the canal will be 950 kilometers long and run for 630 kilometers through Saudi soil and 320 kilometers through Yemeni soil. The canal will be 150 meters wide and 25 meters deep. Based on this project, the gains that the canal will generate for Saudi Arabia exceed those produced for Yemen. Its officers say that it will help reanimate the Rub’ al Khali by creating hotels and tourist resorts on the canal banks. It will also allow Saudi Arabian self-sufficiency in fish resources by building fisheries alongside it and creating lakes connected to the canal for this purpose, not to mention energy projects, water desalination projects and the construction of multiple residential cities. It will moreover supply an additional 1,200 kilometers of clean and beautiful shores to the Rub’ al Khali area for KSA. The Saudi camp will build 20 tunnels for vehicles and pedestrians. Three residential cities and two industrial cities are planned, as well as multiple lakes on both sides of the canal for fisheries and ship maintenance. As for the Yemenis, according to the Head of ACCSU, it will create at least a million job opportunities throughout the construction of the project. 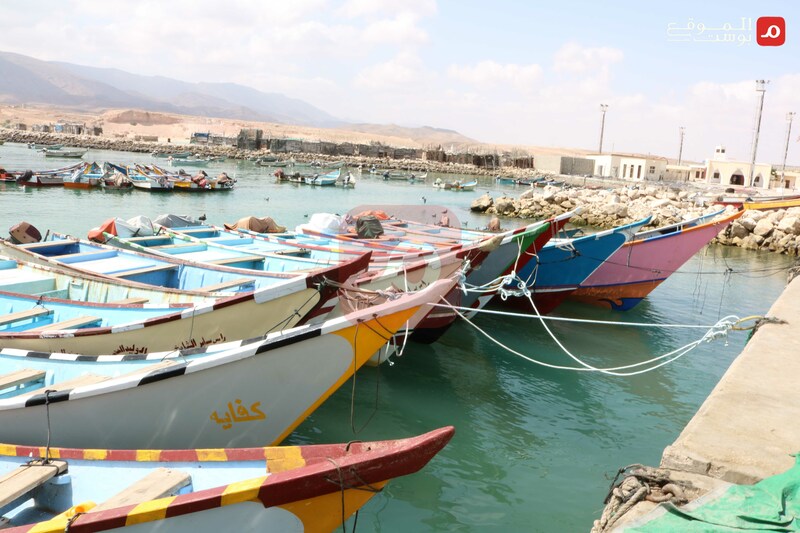 It will supply Yemen with more than 700 kilometers of additional coasts on which cities and resorts will be built. The overall cost of this canal is estimated at 80 billion dollars. An independent authority will be created by the two countries to build and operate it, with a joint capital, while maintaining the sovereignty of the countries. The Saudi official stated at the time that many Saudi firms had almost completed the projects assigned to them, and possess equipment and trained labor capable of undertaking construction and excavation. He estimated the completion of all works within five years. The main difficulty facing the project, when it was revealed, was the political instability in Yemen. Therefore, an alternative course was established for the canal so that it would end on one of Oman’s shores instead of in Yemen. This was in 2015. The project was widely promoted by the official Saudi media but implementation on the ground on the Yemeni side did not start. With continued Saudi hegemony over the legitimate government residing on its soil, and as it continued to lead the war under the pretext of restoring legitimacy to the Yemeni Government, Saudi Arabia started to effectively move toward implementing the project. It exploited the weakness of the Yemeni political regime and the fact that Yemen remained under Title VII which Riyadh misinterpreted and turned into an instrument of pressure and a means of oppression to get its way in Yemen. The Saudi forces arrived in the Port of Nishtun days after arriving in the Governorate of Mahra. 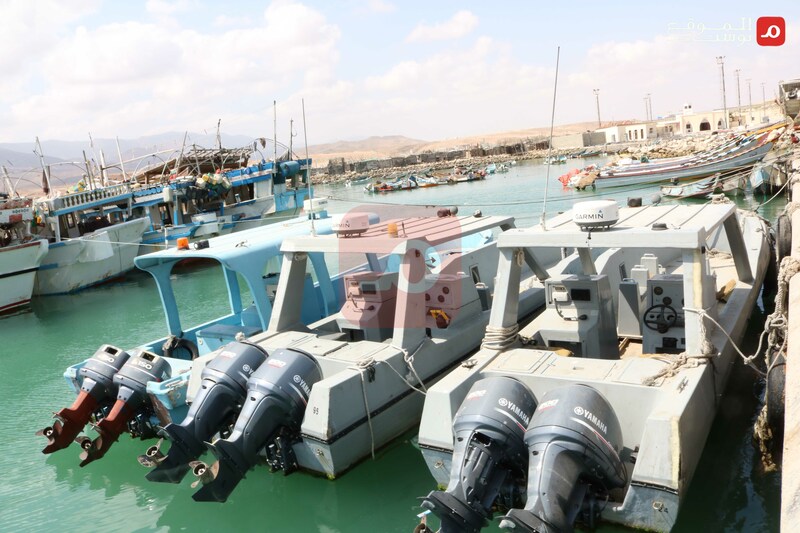 The justification for their intervention in the port was their wish to rehabilitate and equip it with the capabilities to better resume its activity, in the service of the Governorate of Mahra in particular and Yemen in general. Those forces made several field visits to the port, claiming reconstruction, under the banner of implementing vital projects for the residents, like schools, etc. After several months of being there, and simultaneously with the appointment of Rageh Bakrit as Governor of Mahra, those forces gradually tightened their hold on the port, using the same scenario they adopted in Mahra when they first arrived. The forces imposed their own vision on the port and its operating mechanism. At the same time, they began their field action to install their oil pipeline. A tribal sheikh of the Governorate of Mahra, speaking on condition of anonymity, said that the Saudi forces proceeded with the installation of their pipeline by placing markers in the desert where the pipeline was supposed to pass in Mahra. But the tribes were alert to the situation and removed the markers. They warned the Saudi forces against continuing with such activity and the project. The tribal sheikh said that Saudi Arabia was exploiting the fact that President Abdrabbuh Mansur Hadiresides in its capital and was pressuring him to pass this project. “We understand the current situation of President Hadi and all members of the Government. But even if the project is passed under any pressures that Saudi Arabia will exert on them, we, the people of Mahra, will not allow it,” he continued. When asked about the reasons, he replied that they do not object to the installation of the pipeline. The implementation of any project may bring financial stability to Yemen as a whole. But the situation experienced by the Yemeni Government at this time does not place it on equal footing with Saudi Arabia which is seeking to implement the project through its might rather than as a joint project between two countries. The military presence of the Saudi forces in the Port of Nishtun created a wide-scale change in the operating mechanism there. The forces imposed their own vision, stemming from exploiting international laws on Yemen, issued during the ongoing war in the country. Walking through the port one observes the presence of many trucks of all types stopped inside, having been held by the Saudi forces under the pretext that they were intended for the Houthis and they will use them against the Saudi forces and their allies on the open battle fronts between the two camps. The Saudi forces have also prevented customs from letting through 4x4 vehicles. Meanwhile, vehicles imported from Europe, whose steering wheel was shifted from right to left, are allowed in, despite the fact that Yemeni law prohibits such vehicles due to the risks resulting from their use and the fatal traffic accidents they cause and which claim many lives. The entry of many other materials, machines and goods was prevented by the Saudi forces, despite the fact that some are manufactured by known international trademarks and are compatible with local uses and specifications, including chrome vehicle rims. The list imposed and prevented by the Saudi forces from entry into Yemen through the Port of Nishtun and the other ports of Mahra is based on the UN Verifications and Inspections Mechanism for Yemen(UNVIM) established by the United Nations at the request of the Yemeni Government to ensure compliance with UN Security Council Resolution 2216 (2015) for ships sailing to Yemen’s ports. It asserted the imperative of searching all imports to Yemen to make sure they are free of weapons and all types of related equipment, including firearms and ammunition, military vehicles and equipment, para-military gear and spare parts, in addition to technical, training, financial or other assistance, for military activities, or the supply, maintenance or use of any weapons and related equipment. This UN mechanismprevented the supply of weapons to Yemeni figures and entities included under the Security Council sanctions. What seems remarkable here is that the mechanism is dedicated to regulating the operation of ports not under the Yemeni Government’s control but those that are overseen by the Houthis, e.g. Hudayda, Salif and Ras Isa, and Mocha before them. However, this mechanism does not apply to the ports controlled by the Yemeni Government, e.g. Aden and Nishtun. But the Saudi forces dealt with Nishtun and the other ports of Mahra as if they were still outside the control of the legitimate Yemeni Government. They imposed those lists through a circular issued by the Governor of Mahra and disseminated to the port’s staff, vesting their forces with supervising their implementation. A letter was addressed to UNVIM to ask about the legality of the measures taken by the Saudi forces in Mahra and whether they are consistent with the terms that outline UNVIM’s work. Their answer was to refer us to the UNVIM’s website which details its work, while refusing to comment on the inquiries we submitted to them. 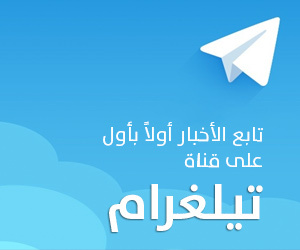 Nepia, the website of a British insurance firm specializing in marine liability and wartime risks and which includes several international clubs working in marine transit, states that ships wishing to access the ports of Aden and Mukalla, the petroleum plant in Rudum and the Port of Nishtun must apply for authorization to the Coalition in Riyadh before arriving in these ports. Meanwhile, ships accessing the ports of Hudayda and Salif must apply for authorization to the UN mission in Djibouti before arriving in these ports. This specialized website publishes periodic updates on the situation of the different ports worldwide. But referring to the post on the Port of Nishtun, it is evident how the Saudi administration has impacted the port. Before Saudi presence, the website’s data showed that it was in full operation to receive all goods but with Saudi presence the data shows that the port is dedicated to receiving oil by-products only. In its overview of the state of Yemeni ports, the website shows the email address for contacting the Yemeni camp, i.e. 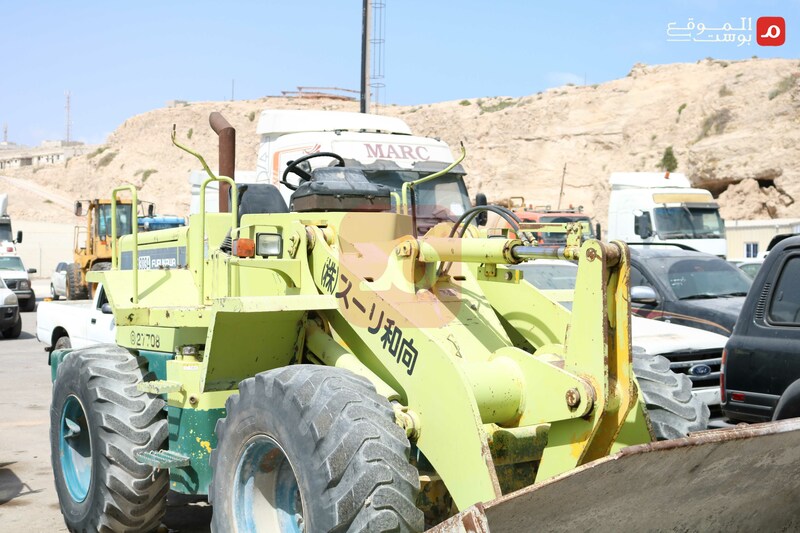 the Yemeni Ministry of Transport, in addition to a telephone number for a Saudi telecommunications company, dedicated to contacting the Arab Coalition to notify them of the shipments that will be imported from outside Yemen. We sent a message on that email address, posing as oil by-product traders wishing to import a shipment of oil to the Port of Nishtun in Mahra. The reply included an explanation from the Yemeni Ministry of Transportasserting that the import of oil by-products first goes through the Economic Committee, pursuant to Cabinet Decision (75), to obtain the importing authorization document from the Economic Committee, consisting of specific procedures and the documents they require. Then, the application is submitted to them by email, with the attached application form, the required documents for the shipment and ship, and the Economic Committee document. We could not reach the Economic Committee to obtain further details. But a source at the Yemeni Ministry of Transport affirmed that these procedures were created recently, after the activation of the Economic Committee, and that the role played by the Yemeni Ministry of Transport is entirely supervised by the Saudi camp. A private source in the Port of Nushtun told Al-Mawqea Post, on condition of anonymity out of fear for his life, about a series of actions carried out by the Saudi forces in Nishtun. In addition to halting the customs approval and import of the list imposed by the Saudi forces, the source noted that the Customs Directorate at the port and all the Yemeni officials cannot object to the actions of the Saudis. All their powers to release imported goods – even if they comply with Yemeni specifications – have been usurped. This official said that the Saudis oversaw the work of the employees working at the port. They were the ones issuing them orders, directives and instructions. They were the ones controlling the situation in general, and exercising an authority that rules over everyone in the governorate, including the authority of the Governor himself. He points out that the Saudi forces conduct frequent patrols every now and then to the port under ordinary circumstances, but with the arrival of each ship into the port those forces arrive, exercise the task of inspection and checks, and issue orders allowing or refusing entry to the contents of the ship. A security officer working at one of the military brigades in Mahra, who previously worked at the Port of Nishtun under the management of the Saudi forces, also spoke to Al-Mawqea Post on condition of anonymity. He said that, as military personnel, they refused all such interference and provocation practiced by the Saudi forces at the port. “But we don’t want to be alone out front, especially that we are keeping public order in this place as part of our job,” he added. An employee working at the port told Al-Mawqea Post, on condition of anonymity so as not to be harmed by the Saudi forces, said that these forces themselves carry out the inspection of the ships arriving into the port as soon as they arrive, but their inspection is too slow compared to what it used to be when the port was under the Yemeni camp’s control. This has largely hindered commercial activity at the port. He revealed that the Saudis interfered in tasks that do not concern them in the port, thus violating Yemeni law, e.g. prohibiting the entry of materials allowed by Yemeni law, which they refuse to allow in. They also reject the directives they receive from the official authorities, including directives from the Governor himself. He observed that Yemeni officials at the port first tried to obey the directives of the Saudi forces who interfered in all matters at the port. But they clashed with the Saudi soldiers who insisted on managing the situation at the port according to their whims. He explained that the issue of the interference of those soldiers was reported to the command of the Saudi forces at the Ghayda Airport, and they worked on reducing the interferences of their soldiers in the port, but it was only temporary and they resumed with the same policy. This employee believes that such Saudi measures resulted in the deterioration of work at the port. They caused the deterioration of commercial activity, a lower rate of access to the port, and a decrease in its financial revenues. He described what is happening as a deliberate policy to cripple the port and intentional measures to send people away from the port and push them not to do business with it. These methods were not limited to work inside the port. There have also been harassments that have touched the fishermen who have fished there for decades. This old fisherman said, pointing to the near distance in the sea, that the Saudi forces recently placed markers separating the fishermen’s dock and the site dedicated for their military boats, which restricted the 150 local fishermen even more due to the space that is being taken away from their dock for the military dock created by the forces. 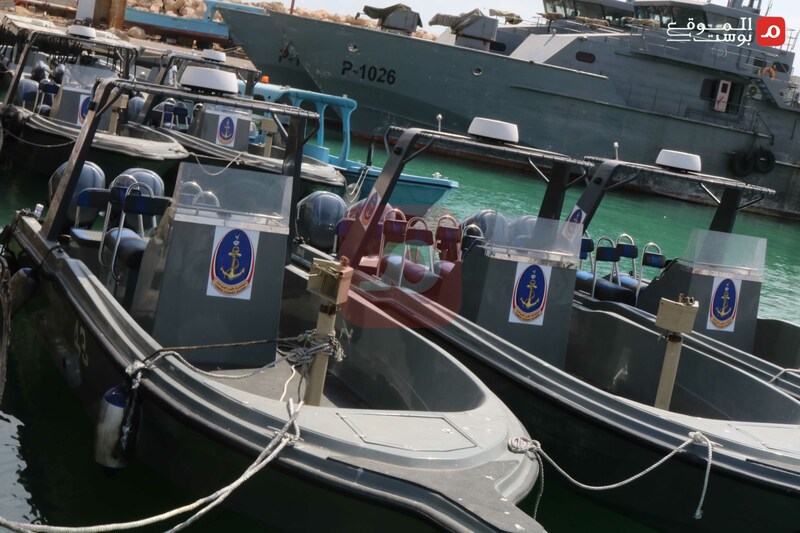 The fisherman’s statements were reported to a military commander whose functions are connected to the occurrences at the port for his opinion on the measures taken by the Saudi forces. He told Al-Mawqea Post that the justification offered by the Coalition was that it is a security measure. He added that the fishermen have long worked at the site and there is nothing to impact the security situation in the port. 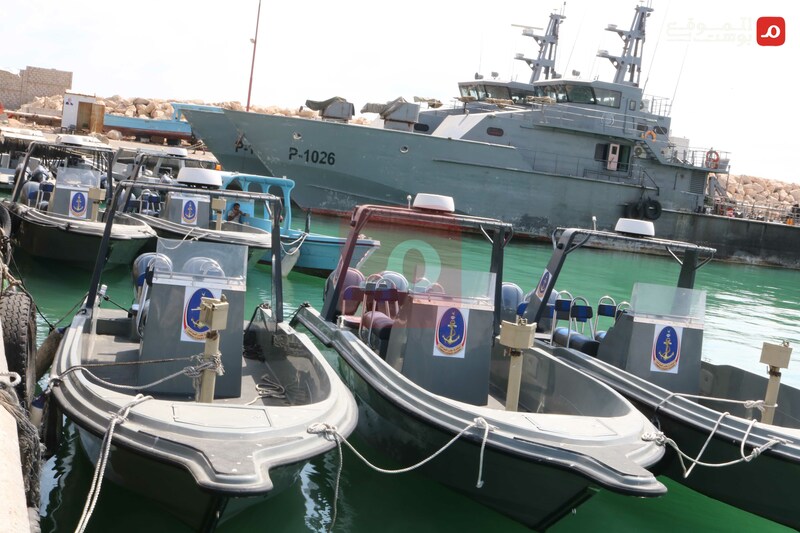 This officer spoke of the news which he said was broadcast by Saudi channel Al-Arabiya about how the Saudi forces and Coast Guard had arrested smugglers and smuggled materials caught in the Port of Nishtun. He described the news as lies and fabrications, stressing that these boats never moved from their place and did not arrest any smuggler’s boat or smuggler. He added that he wondered how they were capable of actually catching out a smuggling operation or smuggler seeing that there was no smuggling in the place to begin with. “We believe we are facing an overarching project which they are after with their presence in Nishtun in particular and Mahra in general. We may not know the nature of the project yet, but their movements and actions point to it in the future,” he concluded, on condition of concealing his military title and rank for security purposes. When visiting the Port of Nishtun you discover that you are visiting a military rather than a civilian facility. The Saudi forces have transformed the port into full-fledged military barracks with the installations they built there and the way they are running the port. In order to strengthen their stay, the Saudi forces created and built a garrison in the area overlooking the Port of Nishtun. This is a flat area of more than a dozen kilometers. Part of it overlooks the port and its surrounding areas, while the other overlooks the asphalt road leading to the port. The plot consisted of a garrison built by the Yemeni Socialist Party in the 1980s when they ran Mahra. After the 1994 war, the Ministry of Defense withdrew the forces located there and cancelled the garrison completely, sufficing with military posts near the port and its entrance. The plot became government property, but without any military presence there, out of respect for the privacy of the inhabitants and to facilitate their circulation in the area. The Saudi forces built new hangars at the garrison. They constructed a fence around it on all sides. They built several gates for the garrison. They installed buildings to accommodate their soldiers and officers who were brought in. They put in offices, headquarters and control rooms inside the garrison. They equipped it with military weapons and vehicles. This was reported to Al-Mawqea Post by military sources who worked with the Saudi forces there. The garrison today has become a military base running the mini garrisons located in nearby sites and directly reporting to the Saudi forces’ military base in Ghayda Airport. A Saudi officer was appointed as its commander. From within the garrison the forces oversee the Port of Nishtun. Saudi officers and soldiers handle this job. In order to control the situation inside the port, the Saudis installed CCTV cameras at all angles and entrances of the port. The cameras are connected to their own offices in the camp, away from the Yemeni official authorities at the port, be they Army, Customs or local authority. This information was disclosed by an inside security source to Al-Mawqea Post, asking to remain anonymous. He affirmed that the Saudi forces created a control room at the same garrison, directly connected to their main military base at the Ghayda Airport. In addition to that garrison, the Saudi forces proceeded to create another garrison that overlooks the main village near the Port of Nishtun, long inhabited by several local families. They exploited their ties to a sheikh in the area to complete the construction of the garrison. The inhabitants protested the building, calling it a violation of their privacy anda restriction of their movement, especially for women, given the tribal nature governing the relationships between the inhabitants. Moreover, they were concerned that their houses would become exposed places under the gaze of these forces and the garrisons surrounding their houses on all sides. The protest resulted in halting the construction of the garrison but fears about the resumption of the work at any moment remain. One of the sheikhs of that village told Al-Mawqea Post that the Saudi forces gave the tribal sheikhs loyal to them in the village sums of money in exchange for facilitating the construction process and the creation of the garrison, which makes their return to build it a possibility. An officer of the Yemeni Army expressed his anger and regret as well about these constructions carried out by the Saudi forces in Nishtun. He revealed that these forces built the garrisons and barracks by force and they refuse to listen to the Yemeni Army’s advice. He said that the pretext given by Saudi Arabia is to monitor drug and arms smuggling at the port or the nearby coast. He commented on this, saying that moving and distributing the military boats found in the port across the area, and tasking a local security force under the supervision of the Saudi forces, would guarantee the monitoring of the port and coast around the clock, without prejudicing the privacy of the inhabitants of the area or making their houses exposed to the soldiers who will be brought into the garrison directly overlooking the village or wherein they will install barricades. It did not end here. The Saudi forces also crippled the military force of the Yemeni Army stationed there. 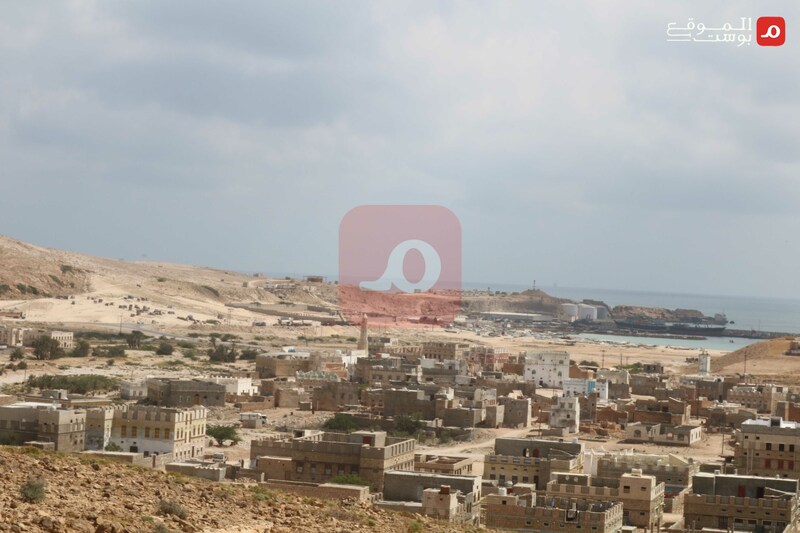 The port has a military force from Brigade 137 which is stationed in the city of Ghayda. It has been handling the task of securing and protecting the port as part of its functions in the governorate for decades. But a military officer from the Brigade said to Al-Mawqea Post that the security tasks performed by the Yemeni Army’s military force there were crippled and marginalized by the Saudi forces. Its presence today is merely nominal. He said, on condition of anonymity, that the work of the official Yemeni forces at the port became, since the arrival of the Saudi forces, concerned with organizing entry and exit from the port gates, based on the directives of the Saudi forces which control everything. “We only carry out the orders. The checking and inspection of ships arriving into the port every day are conducted by the Saudi soldiers alone. They do not allow the involvement of any member of the Yemeni force,” he added. When it comes to the role of the local authority in the Port of Nishtun and what goes on there, the situation seems the same as the rest of the government facilities in the Governorate of Mahra, whether at the crossings or ports, the hospitals and the other vital sectors. Governor Rageh Bakrit showed interest in the Port of Nishtun when he was appointed governor of Mahra on the 27th of November 2017. That interest soon faded after he returned to Mahra. Official statements about the achievements completed in the port became predominant. Meanwhile, the shortcomings, deficiencies and neglect are evident on the ground at the Port of Nishtun. On the 20th of December 2017, i.e. less than a month after being appointed, Bakrit met with former Minister of Transport Murad al-Halimi in the Saudi capital, Riyadh. The two figures expressed their interest in the port. 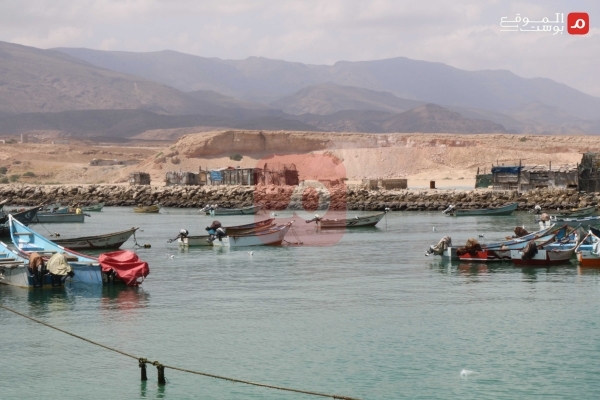 The local authority-affiliated Governorate of Mahra Media Center reported Al-Halimi’s statement that the Ministry of Transport was working on increasing the depth of the Port of Nishtun, on building infrastructure to keep pace with developments, and creating a dedicated dock and estuary to export minerals, organize the entry of ships and boost commercial activity at the port. But all those dreams evaporated after the two men left the meeting and Al-Halimi was subsequently dismissed. When Bakrit returned to Mahra, his first visit to the Port of Nishtun was on the 20th of February 2018. In his meeting with port officials he vowed to overcome all difficulties and obstacles and to follow up on demands and needs. At the same time, he asked the local authority to prioritize work at the port and to coordinate joint efforts with the Coalition. The statement was a declaration of the coming coordination between the local authority which he headed and the Saudi forces which, at the time, had started to infiltrate the port. Bakrit visited the port again on the 2nd of April 2018. He announced the addition of a new power generator for the city of Nishtun, to supply electricity 24/7, as well as the resolution of the water problem on the day after his visit. But our 3-day visit to the city and Port of Nishtun, ten months after his statement, revealed that the city and port were still plagued by power cuts during the day, with electricity resuming during the night only, and that the water issue was still unresolved. Another visit was made by Governor Bakrit to the city and Port of Nishtun on the 6th of May 2018, a month after his last visit. He announced that he had given instructions to expedite the completion of maintenance works at the Nishtun power facility and operation of acommutator to connect two power generators in order to guarantee the full supply of electricity and water to the citizens. The Governor also announced, during that same visit, that he had given instructions to expedite a comprehensive study to install a water desalination filter at the Nishtun Water Reservoir to ensure the supply of safe drinking water to the citizens of Nishtun. But it was all empty talk. On the 1st of August 2018, President Abdrabbuh Mansur Hadi visited the Governorate of Mahra with the Saudi Ambassador to Yemen Said Al Jaber. He laid the cornerstone of several projects which Saudi Arabia will carry out in Mahra and which Governor Bakrit had posted about on his Twitter account, including the rehabilitation of the Port of Nishtun in all its components. But since then, no rehabilitation has taken place at the port, as confirmed by the staff working there. 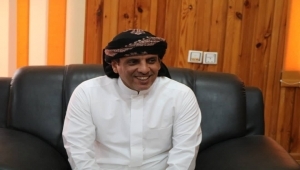 On the 25th of September 2018, Bakrit announced that he had tasked the Deputy Governor of Technical Affairs to inaugurate an elementary and secondary school in the area of Nishtun with the support of the Saudi Development and Reconstruction Program for Yemen (SDRPY). We did not have the chance to confirm whether the school had been inaugurated or not. On the 19th of October 2018, Bakrit announced on his Twitter account that he had visited the Port of Nishtun, and inspected the oil installations and measures undertaken to regulate and organize the work there towards facilitating marine traffic and access to the port to unload oil by-products without hindrance. As for the Saudi role in the port, according to the reconstruction projects announced by the SDRPY on its social media pages, it seems that these too were a series of projects that were announced as being inaugurated and have yet to be completed, based on the survey we conducted in the area. All these projects are integral to Saudi Arabia’s pretense of reconstruction. Meanwhile, the Saudis are moving ahead towards completing their hold on Mahra, its ports and crossings. For each project announced by Saudi Arabia in Nishtun there are other steps of military expansion and creation of new military posts on the ground. Despite the military expansion achieved by the Saudi forces in the Port of Nishtun, the projects implemented there fall short of the exaggerations promoted by Saudi Arabia in implementing those projects. Also, the projects themselves are not a priority for the inhabitants and have no connection to their actual needs. Their cost is moreover a little less than the cost of creating a single garrison in Nishtun, and perhaps less than the money they spend on the tribal sheikhs to placate them, as a local in the area commented. On the 25th of September 2018, the SDRPY announced that it had inaugurated the project to build an elementary and secondary school in the area of Nishtun, stating that the project will resolve one of the primary difficulties faced by the locals in the educational process. Almost a month after this announcement, the project announced, on the 21st of January 2019, that it was forging ahead with the construction works at said school in Nishtun. 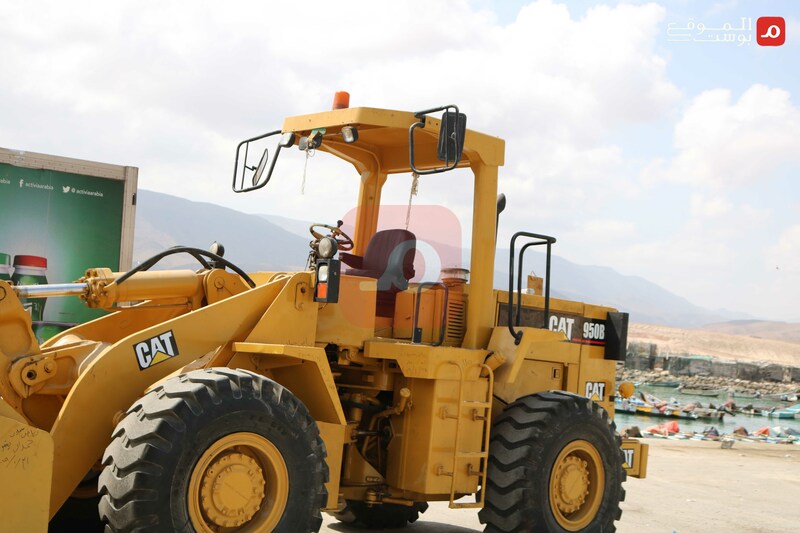 On the 20th of August 2018, the SDRPY said it had started construction works to improve, develop and increase the capacity of the Port of Nishtun, claiming that it was one of the projects inaugurated by President Hadi, including the rehabilitation and repair of the port, constructing a power plant and warehouses, installing a dedicated pipe to unload oil by-products from the ships, rehabilitating the buildings, fencing the port, and providing tugboats and cranes of different sizes, all of which would contribute to increasing revenues for Yemen. 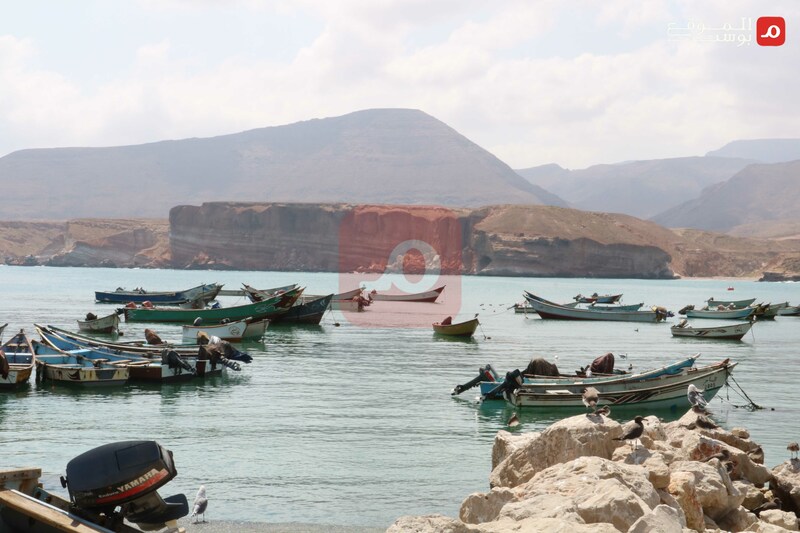 But those promises which are more than ten months old – the same ones announced by former Minister of Transport Murad Al-Halimi – are still pending implementation, according to statements by port officials to Al-Mawqea Post. Rather, measures were taken by these forces that resulted in marginalizing and crippling the port. On the 16th of January 2019, the SDRPY announced the arrival of a 30-ton crane donated by Saudi Arabia to the Port of Nishtun to boost its efficiency. But, according to a port official, it has not been put in operation yet. It is worth noting here that Governor Rageh Bakrit and Saudi Ambassador to Yemen Muhammad Said Al Jaber, who oversees the SDRPY, did not respond to any of the questions addressed to them for comment on the content of this exposé. During our visit inside the Port of Nistun to assess the situation there, we were surprised by a raid of the site by a group of Yemeni soldiers in military uniforms, led by an officer. They tried to get to and confiscate the cameras we were carrying, claiming it was a no-photography-allowed military zone. They went up to the cameraman, demanded the surrender of cameras and mobile phones, in a barbaric manner and provocatively. When we refused to do so, the officer, who is from a Yemeni governorate, threatened to take the cameras by force and transport us to the Saudi forces’ prison at Ghayda Airport. “If you don’t surrender the camera, I swear to God you will sleep in prison at the airport,” he said in a local accent. He told us to follow him to a small room belonging to the Saudi forces at the port to interrogate us and find out our affiliations, and to hand over the cameras. He tried to make several calls, holding his cellphone to his ear. After some back-and-forth we left. We later learned that the officer was imprisoned at the directives of the Saudi forces for letting us go. This all took place despite the fact that Saudi channels and local channels affiliated with the Governor of Mahra broadcast several reports filmed inside the port; it was considered neither prohibited nor a military zone. But the one confirmed fact we learned from our encounter was that the reports about the practices of the Saudi forces, their threats of violence against dissidents in Mahra, and their transforming the Ghayda Airport into a prison were real. They are not malicious rumors, as the forces claim. The control of the Saudi military commanders over the Yemeni Army are not idle accusations; they are concrete realities. The Port of Nishtun has in fact become these forces’ military barracks.